The Tatmadaw have never shown much concern for the villagers whose homes and crops they burn in their attempt at “ethnic cleansing” (which sounds so much better than genocide) but on the afternoon of 22nd March they excelled themselves in bravery. They shot and killed several women and young children according to FBR reports. On the 22rd of March, at 4:30 PM, Burma Army troops from LIB 369 entered Kaw Hta village, Ler Doh Township and shot and killed 1 woman and 2 children. Troops shot and killed Naw La Pwey, a 37 year old woman, Naw Paw Bo, a 5 year old girl, and Saw Hta Pla Htoo, a 5 month old boy. They also shot and wounded Naw Pah Lah, 26 years old, the mother of the two children. 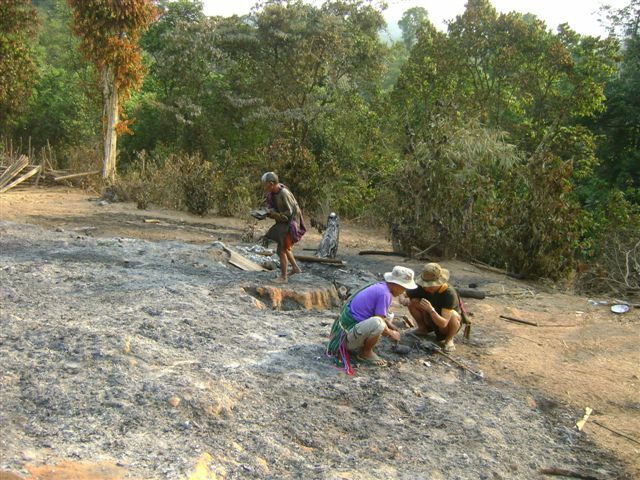 The Burma Army also burned down 9 homes in the village while the rest of the villagers fled. The surviving mother is now being treated by medics in a hiding place as the Burma Army continues their attacks. Due to the attacks in this area, starting in January, over 3000 people remain displaced. The report is here. But be warned it contains horribly graphic images. The elections planned for later this year will ban most serious opposition candidates, including Nobel Peace-prize winner Aung San Suu Kyi. 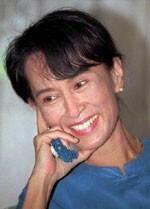 She is only one of over 2,000 such political prisoners Amnesty International counts in the country. Under such rules even if the polling booths do not have armed soldiers to ensure everyone votes “correctly” these elections are a travesty. The full report and some useful links are here: Myanmar opposition must be free to fight elections.